The Alethea Extravaganza: 2 New Books Out Today!!! Dearest fishy friends: Firstly, we hope you had a wonderful Thanksgiving! 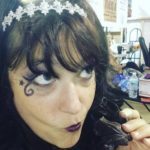 Secondly, never in my life have I had the fortune to bear witness to a mind quite as brilliant and quirky and prolific and boundless as that belonging to our mermaid sister, Alethea Kontis. I knew she had a couple books coming out today (did I mention she’s a superstar?) and I also knew I wanted to be the lucky girl to share the wonderful release news with you. 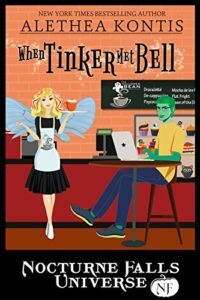 This is because one of the new stories is the follow up to When Tinker Met Bell, a book Alethea released this September. That story is my all-time Alethea favorite so far (and you can find it HERE ) It’s absolutely lovely! Please do check it out if you can.